The lecture is part of the Anti-Defamation League’s Echoes & Reflections Holocaust education program, which is co-sponsored by Quinnipiac’s School of Education. Admission is free and open to the public. Ruth Fishman, of West Hartford, a Holocaust survivor, will share her experiences living through the mass genocide on Oct. 16 at Quinnipiac University’s North Haven Campus. Ruth Fishman, a Holocaust survivor, will share her experiences living through the mass genocide at 1:30 p.m. on Tuesday, Oct. 16, in the St. Vincent’s Auditorium in the Center for Medicine, Nursing and Health Sciences, 370 Bassett Road, North Haven. The Echoes & Reflections program features a 10-part curriculum on the Holocaust directed toward middle and high school teachers in Connecticut and Massachusetts. More than 125 educators have participated in the program in the five years that Quinnipiac has hosted Echoes & Reflections. Ruth “Tutti” Fishman was born in 1935. She was the eldest daughter of Heinz and Margret Lichtenstern, who lived a modest life in Cologne, Germany. In early 1936, the family moved to Amsterdam thinking it would be a safe place to live. Fishman was 5 when the war reached Holland. 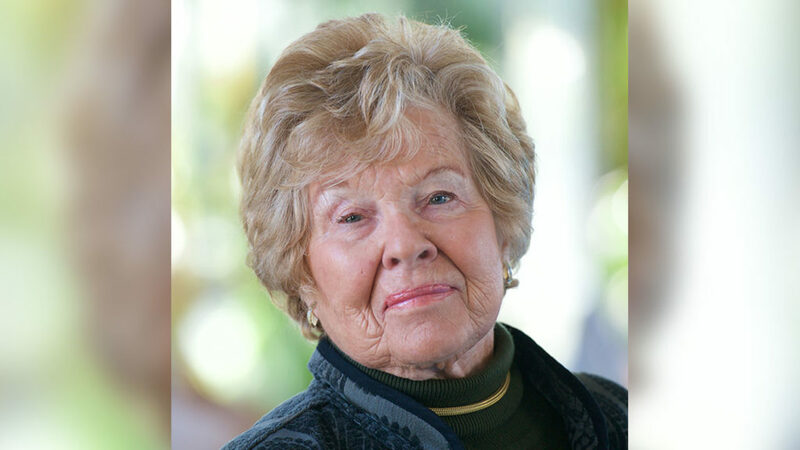 She spent three years in Nazi-occupied Amsterdam, seven months in the Westerbork concentration camp and nine months in the Theresienstadt concentration camp. She survived with her younger brother, her parents and her paternal grandparents. After the war, the family resettled in Amsterdam and eventually moved to Rio de Janeiro and New York. Fishman is a graduate of Sarah Lawrence College. She married soon after graduation and lives in West Hartford. She raised three children and has seven grandchildren. Fishman has spoken publicly about her Holocaust experiences since 2008. In 2017, her daughter, Heidi Fishman, wrote the book, “Tutti’s Promise,” to make the story accessible to even more students. Of the 140,000 Jews living in The Netherlands in 1940, about 107,000 were deported and only 5,000 survived. Fishman’s story is about determination, hope and luck.